Singapore is one of the smallest countries in the world, but don't let size fool you. 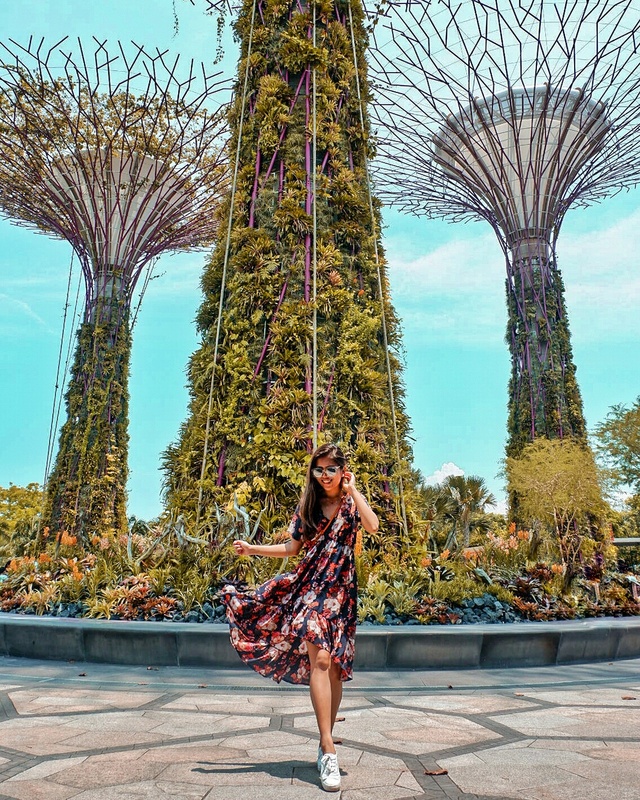 Singapore may be small, but it has so much to offer! I've been to Singapore twice already and I haven't visited all of the places that I want to see. Taking good photos whenever I travel is one of my top agendas because I don't know when I might be able to visit the place again. 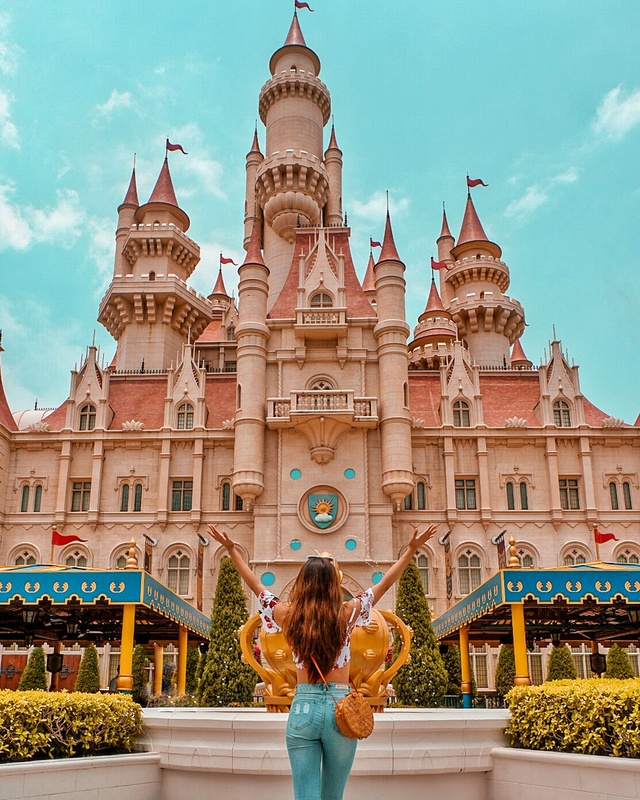 So for this post, I'll be listing down my 18 favorite Instagram-worthy spots in Singapore for the year 2018. 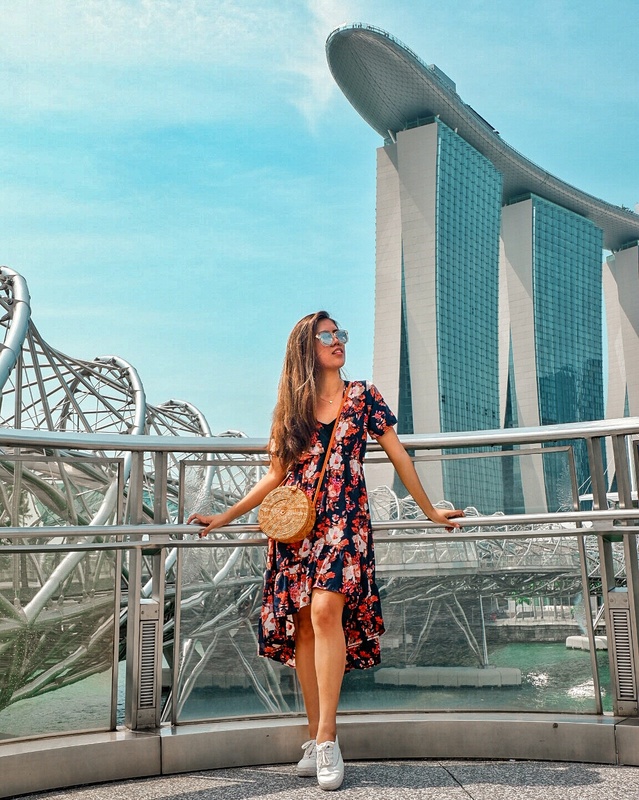 If you haven't visited Marina Bay Sands on your trip to Singapore, then you really haven't experienced Singapore at it's fullest. This place is probably one of the top tourist spots in Singapore. The iconic building is also on top of my must see iconic buildings list because I've read so much about this one during my academic years in architecture. If you want to have a shot of the city then you should consider visiting the Sky Deck at Marina Bay Sands. The view from above is just amazing, showcasing the city's urban landscape. Got my ticket via Klook to visit this one! Connecting the Marina Center and the Marina South, the Helix Bridge is no doubt the most interesting foot bridge I've ever seen. The DNA looking bridge definitely has a unique twist to one's photo because of it's futuristic look. Witness Singapore's most visited botanical garden, Gardens by the Bay. This huge and futuristic garden has so much to offer when you visit. If you want a Jurassic Park feel to your photo, head on to the Cloud Forest. 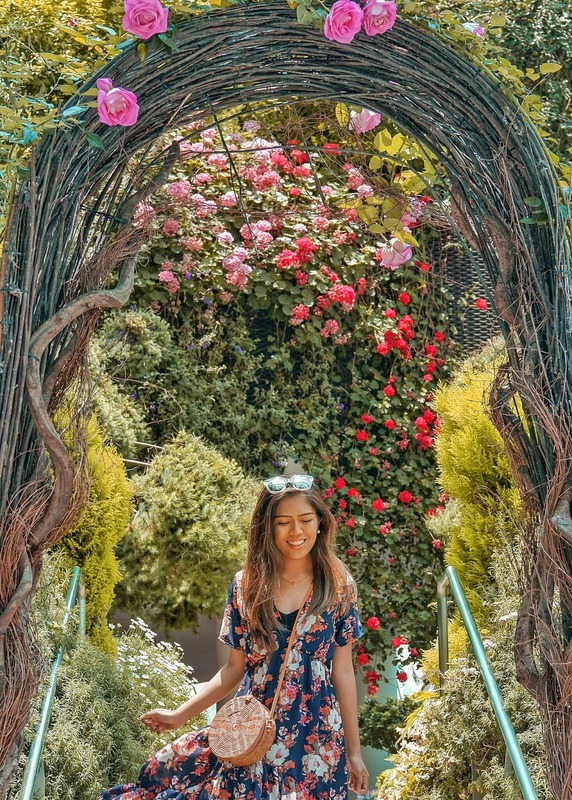 If you want your dreamy garden photo then go visit the Flower Garden Dome. Skip the long queue when purchasing the tickets of these domes via Klook, you also get to avail discounts when you purchase here! 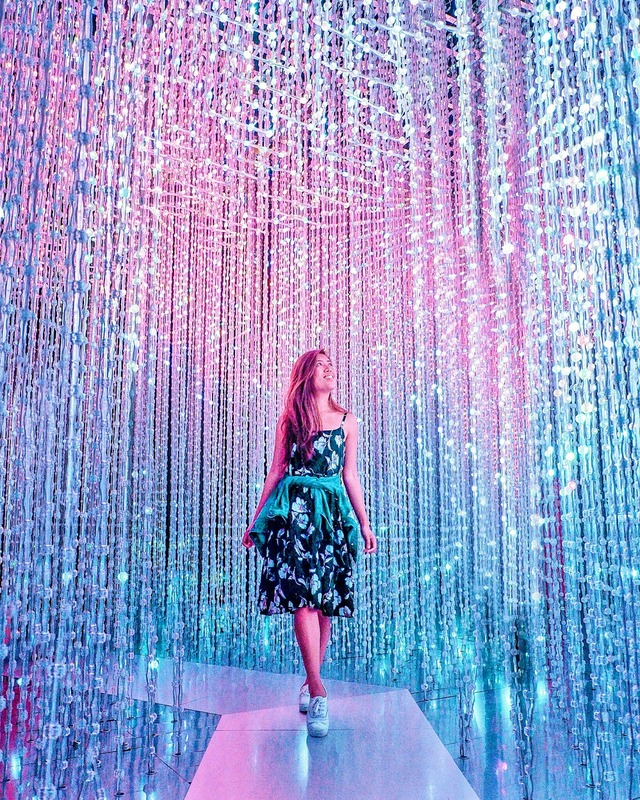 For a futuristic or avatar feel to your photo then have your photo taken by the Supertree Grove. 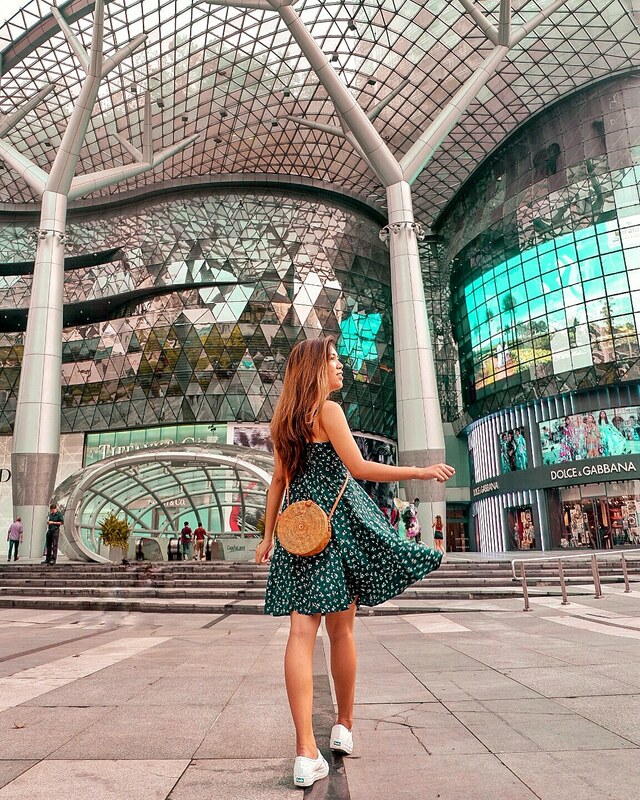 Another futuristic looking building is a shopping mall, ION Orchard. The complex play of glass and steel of the building makes it look like a warped bubble. Taking photos of this building makes you think what shape this building is. Every angle is different from the other. Southeast Asia's first Hollywood themed park, Universal Studios is definitely so much fun to spend a day with. Having 7 themes in the park, you get to have various settings and mood on your photos. Got my ticket via Klook and availed a great deal upon entering. Have you ever wondered what it's like under the sea? Head over to S.E.A. 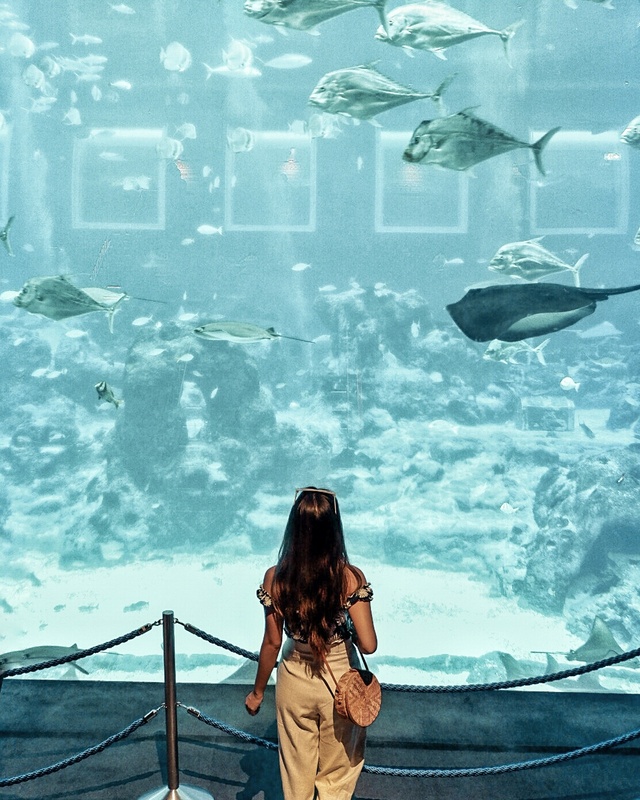 Aquarium and be one with the sea creatures. Get in via Klook to skip the long queue and have more time exploring what's under the sea. 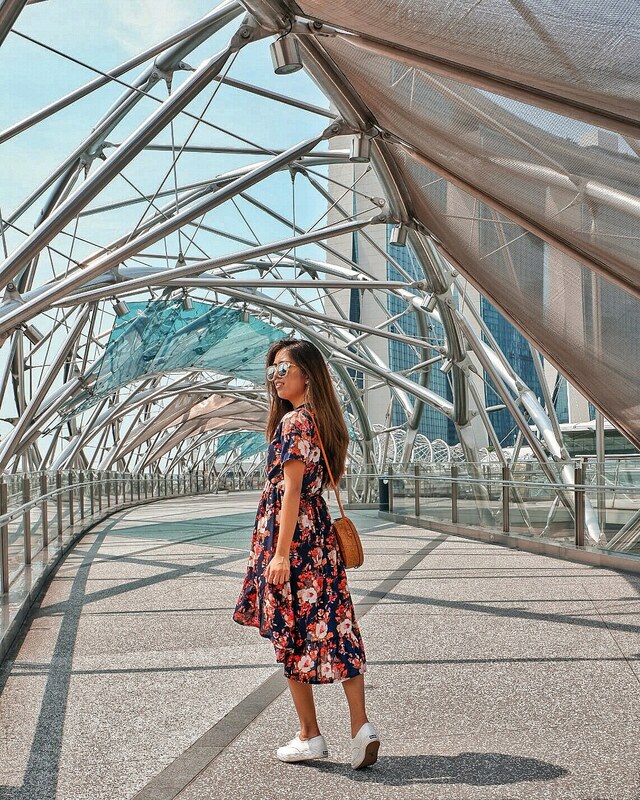 Singapore's highest pedestrian bridge offers a great panoramic view of Singapore's skyline. What I like about this bridge is how warm it is to the eyes and yet the form of the bridge is just like a wave. A combination of two opposites but comes out in great harmony. Did you know that this building's site was where Singapore's first jail was located? 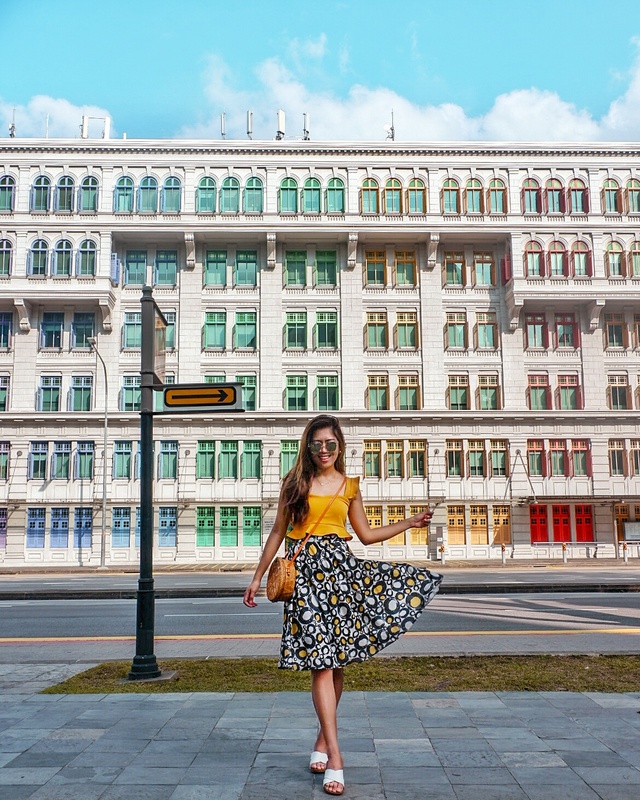 The colorful windows makes this building so lively and festive. Whether it's a close-up shot or a shot with the whole building, you'll surely have an artsy looking photo. This area is where you'll find strong middle eastern influences. You'll see shops wherein a lot of textiles and carpets can be found. 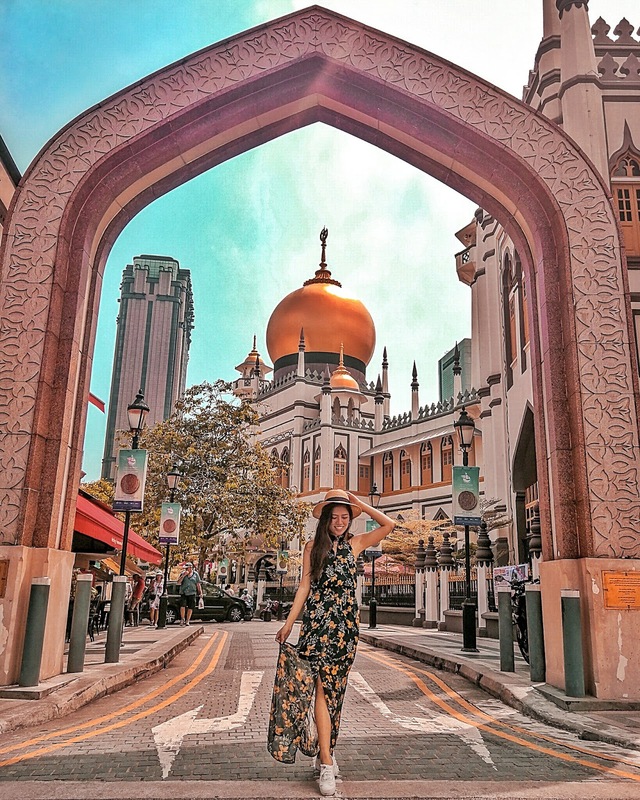 Relive your childhood memories and have your photo taken at the Mosque and get the Aladdin vibes to your photo. Bold and vibrant colors always gets my attention. Little India is one of the places you shouldn't miss out. The details and lively colors will surely make your photos pop. Enter the future and enjoy the interactive exhibits at Art Science Museum where art meets science. I surely enjoyed playing around in this museum. My favorite exhibit is The Space. The lights' movement and changing of colors was so magical. The coolest library I've ever been is the Library at Orchard. 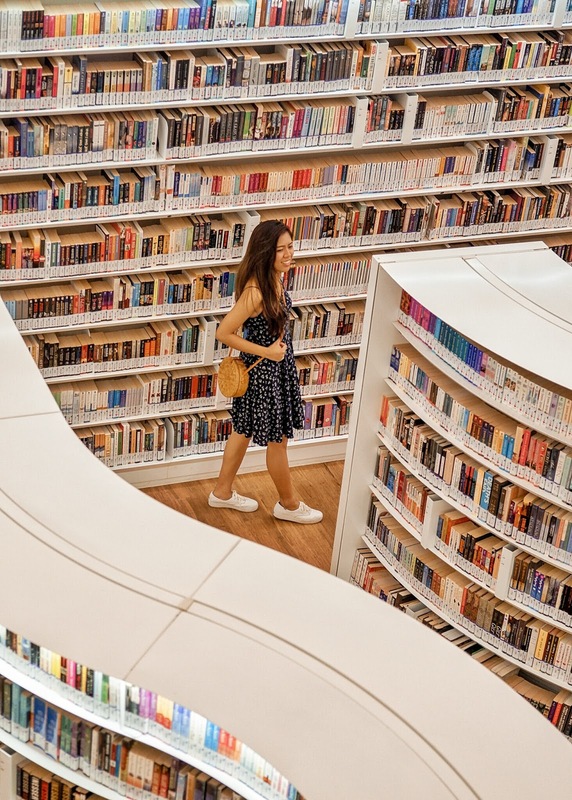 Aside from it's playful and curvy bookshelves, this library is located at the center of a shopping district! This area is so hipster! You'll see a lot of art murals, cool shops, and charming cafes. It's so eclectic and diverse. The mixture of various elements and qualities make this place so trendy. 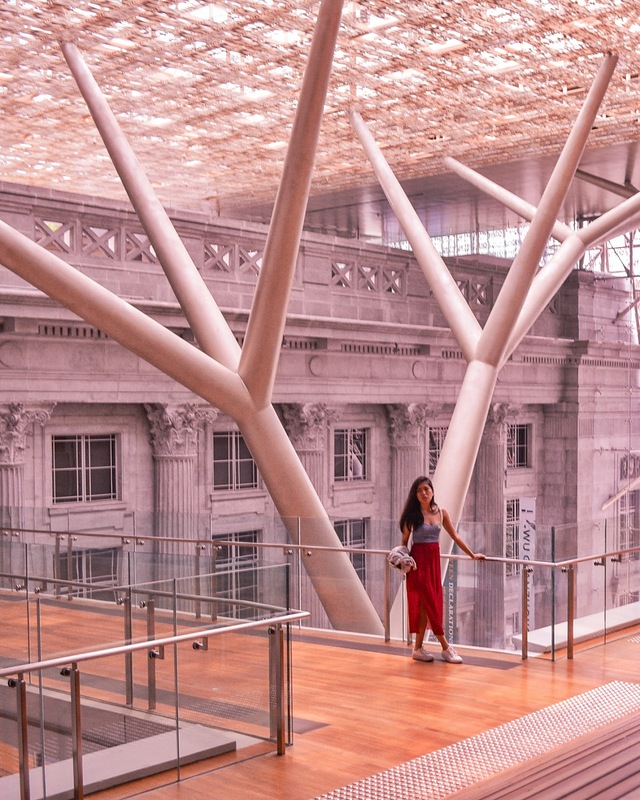 The National Gallery is the largest art gallery in Singapore. The classical architecture with a modern twist on their vein-like columns does make the structure so interesting. 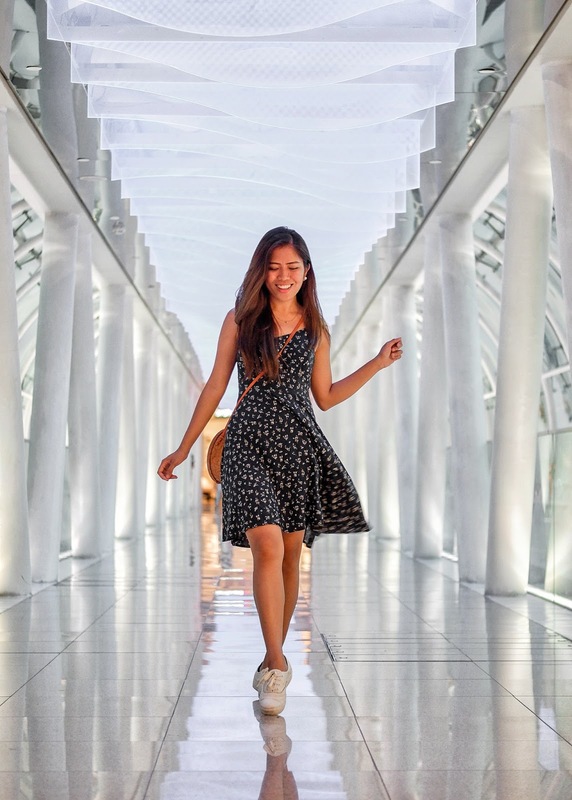 The tubular glass bridge at Orchard Gateway will make you feel like you're be walking towards the future. The play of lights also brings a playful touch. 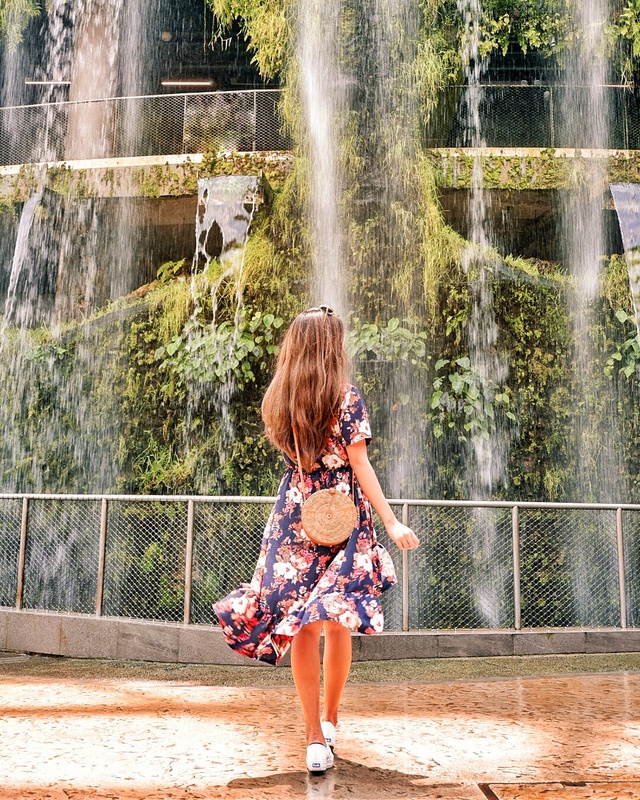 There are so many photo worthy spots in Singapore. Each place is probably a good spot to shoot! You'll just need to find the perfect angle in which creates an interesting story to your photo.